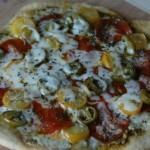 Just because you're low carb doesn't mean you can't enjoy pizza- thanks Low Carb Queen! Prepare the dough according to the package. Bake the crust for 2-3 minutes alone to crisp up. 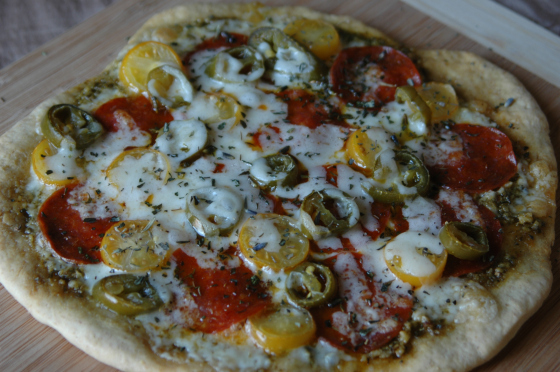 Spread on the pesto, top with ¾ of the cheese, the pepperoni, tomatoes and peppers. Top with the rest of the cheese. Bake until golden and bubbly.